Cell Phone Loans from Alma School Pawn and Gold! If you’re thinking about upgrading to the latest and greatest model of your favorite brand of cell phone, why not pawn your cell phone in Mesa, Arizona at the pawn shop store where you will get not only the highest loan amount for your cell phone, but where you’ll also be treated like a preferred customer – every time you walk through our doors. We go the extra mile to make all our customers feel special, because to us they really are – in fact almost everyone who visits us in our Mesa, Arizona store is one of our friends or neighbors from Scottsdale, Phoenix, Chandler, Tempe, Gilbert, or Apache Junction, and they’re members of the greater community in this part of Arizona. We understand how expensive cell phones can be, and how much that newest full-featured smart phone can actually cost you, so we provide the very highest payouts possible, based on the type of cell phone you bring in, and its condition. If your cell phone happens to be previous generation, it will still have value, and we can advance you as much money as it is still worth. 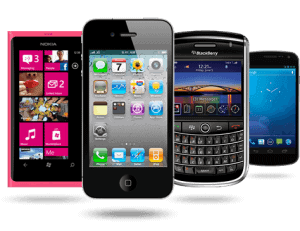 We accept almost all manufacturer brands of cell phones, including Samsung, Blackberry, Verizon, LG, iPhone, T-Mobile, AT&T, and a whole host of others. All Phones Are Good for Cash in Mesa! If you aren’t sure whether your cell phone has value to us or not, we encourage you to call our pawn shop store in Mesa, Arizona for a free estimate, although the most accurate figure can only be given you when you make a personal visit to our pawn shop store. When you bring in your cell phone for appraisal, be sure to bring in the original box and any other accessories such as the charging cable, because complete cell phones are always worth more than those which lack the original accessories. If you would simply like to receive the cash amount for your cell phone, we can purchase it from you outright and put the maximum payout in your hands, but if you would prefer to pawn your new cell phone, we can get you that same high payout, and you would only temporarily relinquish ownership of the phone itself. For the term of 90 days, a pawn loan agreement that you arrange with us, could be paid on in monthly installments which consist of an interest component and a principle component, and as long as you pay the interest part of that installment each month, your agreement will be maintained in good standing. Obviously, it’s better to also pay down the principle component of each monthly installment so that you can be continuously progressing toward completing the agreement itself and paying off the loan. If you have any other items in your household such as more electronic devices, these can also be used to generate fast cash in the same way, by either selling them at our pawn shop store, or by setting up a pawn loan agreement. For all our valued customers, we try to be as flexible and accommodating as possible, because we’re in this business for the long haul, and we aim to satisfy every customer.